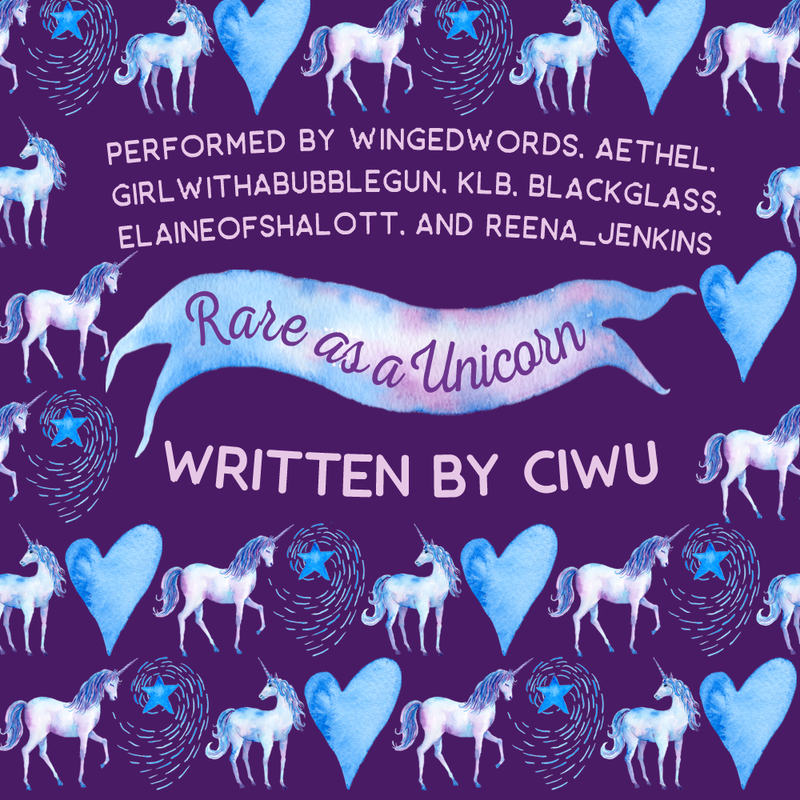 A podfic of "Rare as a Unicorn" by Ciwu. "Vox Machina argues about the nature of unicorns, debates whether or not they're worth killing, and learns some surprising information about human versions of fairy tales, as well as a little secret about their resident human." Inspired by Rare as a Unicorn by Ciwu. Another group effort from Podfic Chillfest weekend! Long story short: over President's Day Weekend, a bunch of podficcers got together to hang out in NYC and we each got a change to pitch a fandom to the group and then do a podfic together. I pitched Critical Role and knew we had to record this story. Thanks again to everyone for being so game to read for a fandom you're not familiar with! Also thanks to Ciwu for giving me permission to record this story! Used to fill my "record in a new location" square for podfic_bingo.